Hi everyone! 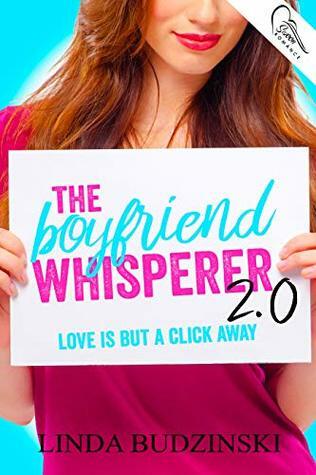 Today on the blog, we have a special little treat for you -- author Linda Budzinski reached out to us about featuring an excerpt of her latest novel, The Boyfriend Whisperer 2.0, on the blog, and we couldn't be more excited to share it with you today! But first thing's first: let's learn a little more about the book! Summary: Alicea Springer was Boyfriend Whisperer Enterprises’ top success story. That is, until her dream date, Ty Walker, dumped her a week before prom. Now it’s senior year, and Alicea has taken over the business and given it an upgrade using an automated matchmaking program designed to help her classmates find their perfect match. Alicea has no interest in using the program herself. She already knows who her perfect match is … Ty. She doesn’t need an app to tell her that (or worse, match her up with someone else). In a moment of weakness, Alicea allows her friends to convince her to give the program a try. To her horror, it matches her with the last boy on earth she'd ever want to date — Darius Groves, the class deadbeat. When she and Darius are paired up for a class project, Alicie learns there's more to him than his bad reputation. But the more she spends time with Darius, the more she questions their match. They have so little in common. Why did her program match them? Can Alicea defy the odds and make a match of her own heart’s desire? Or will the matchmaker remained unmatched? “Can you read it to me?” I don’t know a word of Spanish, but I like the thought of Darius speaking it to me. “Right.” I purse my lips. I hold out my pinkie. I haven’t done a pinkie promise since I was, like, eight. I’m not sure if I’m regressing or if this is just an excuse to touch Darius’s hand. Darius’s eyes never leave mine as he takes my pinkie in his. “Pinkie promise,” he says. “Okay, then.” I start to pull away, but he tightens his grip and draws my hand in closer toward him, slowly, closer and closer until it is inches from his lips. I hold my breath as he ducks his head, eyes still trained on mine, and kisses my pinkie nail. Whoa. That was ... unexpected. Lastly, now that we've (hopefully) gotten you interested in the book with the excerpt, let's learn a little bit about Linda herself! Summary: Fiercely independent and smart, Zora Emerson wants to change the world. She's excited to be attending a prestigious summer program, even if she feels out of place among her privileged, mostly white classmates. So she's definitely not expecting to feel a connection to Owen, who's an actual prince of an island off the coast of England. But Owen is funny, charming...and undeniably cute. Zora can't ignore the chemistry between them. When Owen invites Zora to be his date at his big brother's big royal wedding, Zora is suddenly thrust into the spotlight, along with her family and friends. Everyone is talking about her, in real life and online, and while Owen is used to the scrutiny, Zora's not sure it's something she can live with. Can she maintain her sense of self while moving between two very different worlds? And can her feelings for Owen survive and thrive in the midst of the crazy? Find out in this charming romantic comedy that's like The Princess Diaries for a new generation. A romance book involving secret royals?? Count me IN. I am an absolute sucker for stories like this -- in fact, it was recommended to me when I Tweeted last month, asking if anyone had any royal romances! 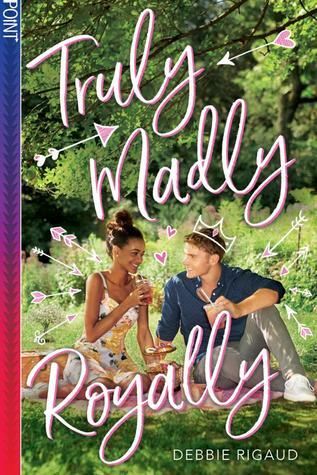 So, needless to say, this book will definitely be in my hands as soon as it becomes available because I'm all for any sort of remake of The Princess Diaries, plus this book just seems so dang cute that I want it RIGHT NOW. Can't wait for July to roll around! 1. Singapore (Crazy Rich Asians)! 2. Genovia (The Princess Diaries)...duh! 7. The wedding from The Wedding Date! 9. The coffee shop in Emergency Contact! 10. The fraternity in Frat Girl! So those are the ten places mentioned in books that I'd like to visit! What are yours? Comment down below and let me know, and also let me know what you think of my own choices! 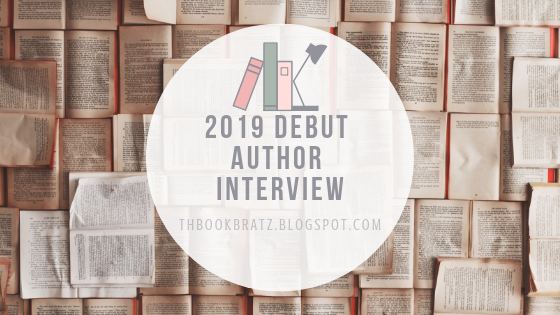 Interview With 2019 Debut Katy Loutzenhiser + GIVEAWAY!!! 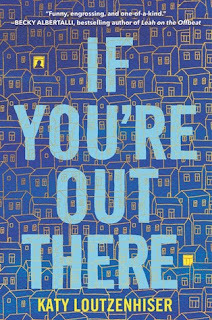 Over the summer of 2018 we had Tweeted about wanting to discover more debut authors and their books and Katy Loutzenhiser responded with her novel IF YOU'RE OUT THERE and we have been interested in it since. 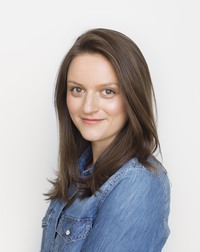 We are so excited to have Katy on the blog today to answer some of our questions! Katy grew up in Cambridge, Massachusetts, dabbling in many art forms and watching age-inappropriate movies. After college, she found an unlikely home in the Chicago comedy scene and regularly sang improvised musicals in public. Now she writes YA books in Brooklyn. 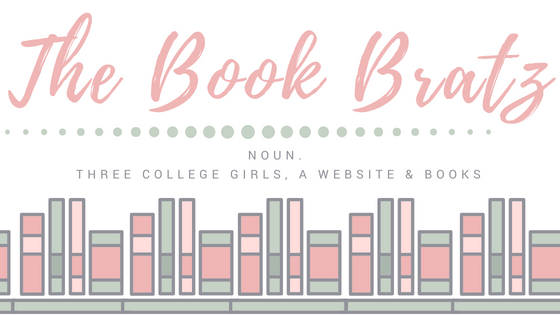 The Book Bratz: First off, how does it feel to be a debut author? Katy:Hello! Thanks so much for having me! And it feels… a lot? (That’s an emotion, right?) I sort of vacillate between holy crap I’m actually living my dream right now yayyy and oh my god people are going to read this what have I done? Most of the time I try to focus on being grateful and excited, but I’m a pretty private person, so stepping out into this public space still feels weird. It’s an adjustment! The Book Bratz: What inspired you to write IF YOU'RE OUT THERE? Katy: The idea for IF YOU’RE OUT THERE popped into my head after a friend really did ghost me. It was incredibly strange, and sad, and it took me a long time to process. But in the end, I had to accept it as one of my life’s little mysteries. Still, this one thought kept bugging me. What if this had happened to a friendship I’d been more secure in? A soul mate friend? A rock? I got sort of obsessed with this question. I think this book was my attempt at answering it. The Book Bratz: Who was your favorite character to write? Why? Katy: Oh man! I feel like I could respond to this question differently every time, depending on my mood. I love my characters. Characters are my favorite thing! Sometimes I feel like I fawn over my MC less than the people around her, probably because as much as I tried to make Zan completely distinct from me, she kept turning out a whole lot like me anyway. I have a real soft spot for Logan, the new kid at school who sort of follows Zan down the rabbit hole in figuring out what’s going on with Priya. He has all these fun contradictions. Like he comes off as confident—even cocky—but in reality he’s almost completely devoid of ego. He’s all quips and clever comebacks, but there’s a lot going on under the surface. Also, he’s the kind of guy who knows how to have a girl’s back, in a steady, not-showy way that I always appreciate in the men in my life. The Book Bratz: Where is your favorite spot to write? Katy: My apartment, often donning very large men’s sweatpants while wrapped up in a big fuzzy blanket (at least in the winter). When it’s warmer, if it’s not too bright out, I can sometimes get away with writing on my building’s roof. Public places don’t work as well for me. I’m too easily distracted. The Book Bratz: what was the biggest challenge you faced while writing IF YOU'RE OUT THERE? Katy: One of the hardest things for me was capturing Zan’s vulnerability in a way that felt authentic to her character. In my mind, her impulse would always be to self-protect when it came to her emotions. It felt like she shouldn’t just spill it all out onto the page—even as the narrator. So there was this constant push-pull between withholding and letting it all out, not just with the other characters around her, but with the reader, too. 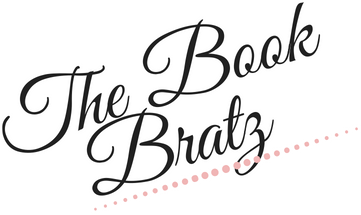 The Book Bratz: Any fun quotes or secrets you'd like to share with future readers? Katy: Before Priya ghosted, Zan had been keeping a notebook with a numbered list of life tenants her best friend had rattled off over the years. Some of Priya’s “principles” could be heartfelt. (Hug a lot. Even it’s weird.) While others were more… specific. (We must band together to end egg salad on airplanes!) At the moment, I’m actually hosting a library request raffle where I’ll be giving away tote bags inscribed with this Priya gem: Ladies before mateys! In this instance, Priya preached in ye old pirate English because she preferred not to call women “hoes” (before bros). Interested readers can check out the swag tab on my website, katyloutzenhiser.com. About IF YOU'RE OUT THERE! After Zan’s best friend moves to California, she is baffled and crushed when Priya suddenly ghosts. Worse, Priya’s social media has turned into a stream of ungrammatical posts chronicling a sunny, vapid new life that doesn’t sound like her at all. Everyone tells Zan not to be an idiot: Let Priya do her reinvention thing and move on. But until Zan hears Priya say it, she won’t be able to admit that their friendship is finished. It’s only when she meets Logan, the compelling new guy in Spanish class, that Zan begins to open up about her sadness, her insecurity, her sense of total betrayal. And he’s just as willing as she is to throw himself into the investigation when everyone else thinks her suspicions are crazy. Then a clue hidden in Priya’s latest selfie introduces a new, deeply disturbing possibility: Maybe Priya isn’t just not answering Zan’s emails. Maybe she can’t. Thank you so much to Katy for stopping by and answering our questions! We are super excited about IF YOU'RE OUT THERE and can't wait for it to be out in the world on March 5th! I got approved for a copy of BLOODLEAF on NetGalley in October and read it immediately and adored it. 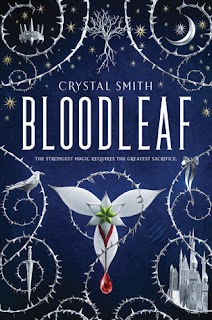 BlOODLEAF is by far one of my favorite fantasies novels that I read in 2018/19 so I am super excited to have worked with Crystal on this interview and an exclusive excerpt reveal that we posted earlier this month! Check out the interview below! 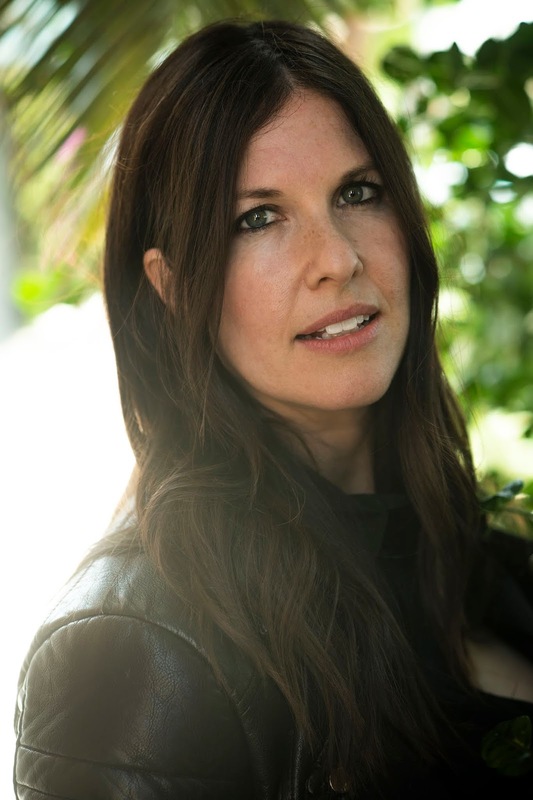 Crystal Smith is a writer, photographer, and artist who developed an early love of storytelling in a family of voracious readers. She resides in Utah with her high school sweetheart husband and two lively sons. When she isn’t writing or creating, she can be found re-watching Jane Eyre and Howl's Moving Castle or reading ghost stories with all the lights on. 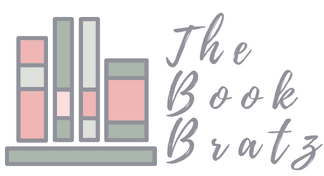 The Book Bratz: How does it feel that BLOODLEAF is debuting this year? The Book Bratz: In the length of a tweet (280 characters!) can you give us an overall summary of BLOODLEAF? The Book Bratz: Where did your inspiration for BLOODLEAF come from? The Book Bratz: Is there anything from your personal life that you used as inspiration in BLOODLEAF? Crystal: Ohh, this is a good one! I have to say, there is an underlying exploration of how far mothers will go to protect their children that certainly became deeper and more poignant as I had my 2 sons and watched them grow. Gah. There are certain scenes that still get to me, just thinking about them. A funny sidenote: My sister-in-law’s name is KelLynn! I had named Aurelia’s friend/guard Kellan before my SIL and my brother met, and she said I could let the name stay, even if it does get awkward when I’m describing something that happens to the character and the SIL is right there. (ie, “and then Kellan gets stabbed right in the face!! Oh, not you, KelLynn! I swear I don’t want to stab you in the face.”) If you’re reading this, KelLynn, I’m sorry for the terrible things I’ve done to Kellan. The Book Bratz: Can you share a secret about BLOODLEAF that not many people know yet? Crystal: Would a book 2 tease work? How about this: If book 1 is basically “The Goose Girl” with ghosts, book 2 can probably be described as “Sleeping Beauty” meets Sleepy Hollow. The Book Bratz: Do you have any ideas you plan to visit after the BLOODLEAF world? Astrid: Yes! I have a gunpowder fantasy I worked on between drafts of Bloodleaf that I would love to come back to someday. I also have a gothic horror idea that’s been beckoning…and about a half-dozen other story kernels that might take root in the right conditions! I’ll be sad when I have to bid the Bloodleaf world goodbye (funny to say when there’s still SO much work to do!) but when I do, there will be some exciting new worlds waiting! Thank you so much Crystal for stopping by and answering some of our questions! We loved BLOODLEAF and were honored to interview you and be able to reveal and exclusive excerpt! Summary: Ever since last year’s homecoming dance, best friends-turned-best enemies Zorie and Lennon have made an art of avoiding each other. It doesn’t hurt that their families are the modern-day Californian version of the Montagues and Capulets. But when a group camping trip goes south, Zorie and Lennon find themselves stranded in the wilderness. Alone. Together. What could go wrong? 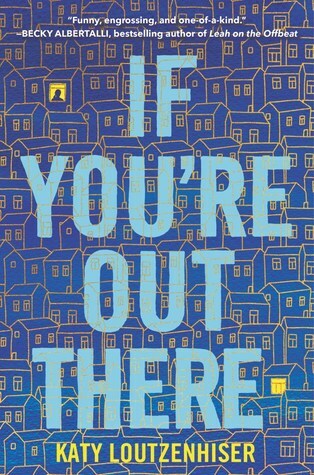 With no one but each other for company, Zorie and Lennon have no choice but to hash out their issues via witty jabs and insults as they try to make their way to safety. But fighting each other while also fighting off the forces of nature makes getting out of the woods in one piece less and less likely. And as the two travel deeper into Northern California’s rugged backcountry, secrets and hidden feelings surface. But can Zorie and Lennon’s rekindled connection survive out in the real world? Or was it just a result of the fresh forest air and the magic of the twinkling stars? 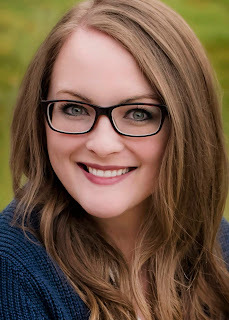 The first time I heard of Jenn Bennett was completely random -- for one of our bookish questions of the day over on our Twitter, we decided to ask everyone what some of their favorite romance stories were, and our friend Brooke @ Brooke Reports said that she loved Jenn's book Alex, Approximately. I told her that I hadn't ever heard of it, and she was so shocked that she immediately ordered me a copy on Amazon and sent it to my house, telling me to get reading. Not only was it the kindest gesture anyone's ever done for me in terms of books, but it turned out to be one of my favorite contemporary romances of all time. (You can read my review by clicking here!) 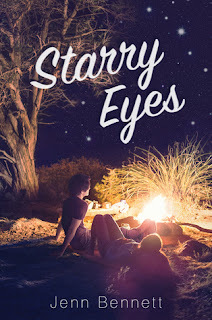 Since then, I've been a huge fan of Jenn Bennett and have added her other books to my TBR, which is what led me to Starry Eyes. So without further ado, let's get into the review! As the summary explains, Zorie and Lennon used to be best friends, but then their families had a very intense falling out, and they became sworn enemies. But through an awkward twist of fate, both Zorie and Lennon wind up on a camping trip that goes horribly wrong, and they end up stranded together in the woods. Zorie? She's absolutely freaking out, because she believes that everything in her life needs to go according to plan. Luckily for her, Lennon is a skilled outdoorsman that knows how to get them home safely -- she just has to get over her hatred for him and learn to trust him again first. And what happens on their adventure is definitely shocking, that's for sure! I really, really enjoyed reading this book -- this has already been a year of 5-star reads for me, and I'm loving it! I thought it was equal parts adorable and hilarious, as well as shocking as some points, too. I feel like I related to Zorie's character a lot -- always feeling that things need to be planned, and not wanting to deviate from any sort of schedule that I set for myself. As the story continued, Zorie learned that there is more to life than living strictly by your planner, and while I'll definitely admit I'm not at that stage yet (my planner is literally my life, guys), I can see the appeal in learning to lean into the curves and the changes that come along in life. Hopefully I'll be able to take what I've learned from this book and use it in my daily life soon, because a life leaning into the curves and rolling with the punches definitely seems like something I want to practice more this year. My favorite character in this book was definitely Lennon. He was sarcastic and hilarious, and some of the things he said (both to Zorie and also to other people around them) made me laugh and kept me wanting to turn the page. He also seemed like a really confident, sure-of-himself character that I really respected and admired. And as the book goes on, you learn that Lennon is more than his dark, punk-attitude that he tries to put on. He's actually super sweet and romantic in ways that definitely made me swoon (and blush)! Sunny and Mac were also hilarious and delightful as well! They were definitely the kind of cool parents that everyone wants to have, and every time they were on the page I felt my heart getting so warm and happy inside. (Spoilers here! Please skip to the next paragraph to avoid them!) Another thing that I really enjoyed in this book was Joy's strength after finding out the truth about Zorie's father, who I hated from the very beginning of the story. When everything came to a standstill and Zorie broke the news, I thought she would stay with him since she didn't seem that disturbed about Molly. However, the way she stood her ground, kicked him out, took charge of the clinic, and didn't let her heartbreak destroy her was something really inspiring and incredible. I was definitely rooting for her at the end, and was really proud of the way she took charge of the situation. Overall, I really loved reading Starry Eyes, and I now know without a doubt that I need to add Serious Moonlight to the very top of my TBR. Jenn Bennett just has a way of creating such a heartwarming, adorable story that makes you laugh, gasp, cry, and swoon in all the right places. I'm forever grateful to Brooke for showing me Jenn's stories, and now I can't imagine my favorite genre -- contemporary romance -- without them. I'm definitely looking forward to reading more of Jenn's work in the future! After Zan’s best friend moves to California, she’s baffled and crushed when Priya suddenly ghosts. Worse, Priya’s social media has turned into a stream of ungrammatical posts chronicling a sunny, vapid new life that doesn’t sound like her at all. Everyone tells Zan not to be an idiot: Let Priya do her reinvention thing, and move on. But until Zan hears Priya say it, she won’t be able to admit that the friendship is finished. 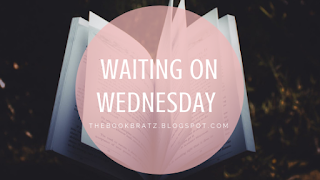 It’s only when she meets Logan, the compelling new guy in Spanish class, that Zan begins to open up about her sadness, her insecurity, her sense of total betrayal. And he’s just as willing to throw himself into the investigation when everyone else thinks her suspicions are crazy. Then a clue hidden in Priya’s latest selfie introduces a new, deeply disturbing possibility. Maybe Priya isn’t just not answering Zan’s emails. Maybe she can’t. I'm so loving all these amazing 2019 author debuts! We've come in contact with so many great authors and we're having an awesome time being able to feature them. If You're Out there was a fun, fast read, and really something I enjoyed. Like it says in the summary, Zan's best friend, Priya, moves to California. As time goes by, Zan stops hearing from Priya and is ultimately crushed. She's so confused as to why her best friend has suddenly ghosted her. Forced to start her senior year alone, Zan is ready to find out the truth. With the help of a new friend, Logan, they begin to uncover little details that don't seem to add up. Things like the pictures and captions she posts to social media and a mysterious email Zan receives that almost sounds like Priya's crying for help. Every time I opened this book I couldn't put it down. With every page I read, I was anxious to find out what clue Zan would find next. I really felt for Zan's character throughout the book. Every time she would mention something about not hearing from Priya, someone would put her down, saying things like "Priya probably just needs space". Zan had that feeling though, that something wasn't right. She was able to fight for her best friend and not just forget about her even while she was struggling with the fact that maybe her best friend didn't want to be bothered by her anymore. I won't spoil anything for you but lets just say that the ending surprised me. I'm not sure exactly what I was expecting but it wasn't that. I do wish the whole situation was elaborated on a bit more. I feel like I was still kind of left in the dark surrounding the details of the whole thing. Other than that, I have nothing bad to say about this book. It really showed one of the true meanings of friendship, that if you really love and care about someone, you're not just going to give up on them. If you love a good mystery don't hesitate to give this book a try! 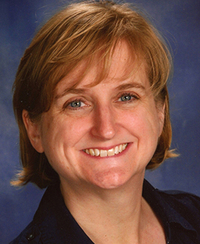 Be on the lookout for a special debut author interview with Katy! If you're interested, you can also check out Jessica's review! 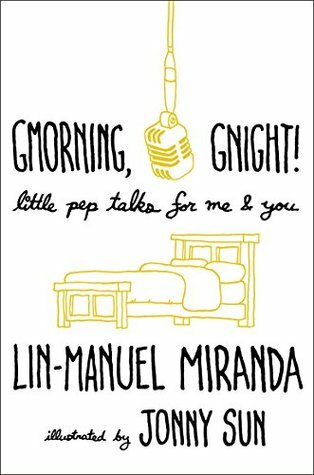 Summary: Before he inspired the world with Hamilton and was catapulted to international fame, Lin-Manuel Miranda was inspiring his Twitter followers with words of encouragement at the beginning and end of each day. He wrote these original sayings, aphorisms, and poetry for himself as much as for others. But as Miranda's audience grew, these messages took on a life on their own. Now, at the request of countless fans, Miranda has gathered the best of his daily greetings into a beautiful collection illustrated by acclaimed artist (and fellow Twitter favorite) Jonny Sun. Full of comfort and motivation, Gmorning, Gnight! is a touchstone for anyone looking for a lift. When I first heard that this book was going to be a thing, I knew it was something that I wanted to read. It's been awhile since I've read any sort of motivational book, and reading one by two of my favorite people made it even more exciting. I have so many amazing things to say about this book that I'm sure I could ramble on forever -- so without further ado, let's get into my review! 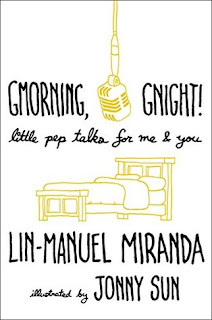 As the summary explains, we all know about Lin-Manuel Miranda's famous Tweets that he posts at the beginning and the end of each day -- little words of encouragement to get you through the day and to help you sleep well at night. I've been a huge fan of them for awhile, and I'm also a huge fan of Jonny Sun, Twitter extroadinaire (you can read my review of his book here! ), so I was practically over the moon with excitement when I found out that they were going to partner together for this book. Lin's Tweets and Jonny's illustrations? Sign me up! So of course I had to add it to my Christmas wish list, and I was so excited to unwrap it! You guys, I absolutely loved this book and I couldn't put it down. There were so many inspirational, heartwarming, and even funny messages to help me start and end my day properly. I read this entire book with a stack of tiny sticky note flags next to me, marking some Tweets that stood out to me that I know I want to read again later. The book is literally COVERED in page flags because I love them all and they all just make my heart feel so warm and happy. Seriously. This book is SO incredibly good for my mental state. I didn't even know I needed it until I opened it and started reading, and now I can't imagine myself functioning without its wisdom. Another thing that I really loved about this book was how it was such a quick, easy read. It was 200 pages, but I managed to sit down and finish the entire thing in less than half an hour because there's only one Tweet (so, like, no more than 4 lines) per page. It was such a quick read that I was left feeling so happy and warm inside that I knew I wanted to keep reading the messages inside of it -- which is why I decided that every morning and night, I'm going to open the book up to a random page and read one of the Tweets, to keep me motivated and to help me unwind after a long day. As a busy college student who is constantly stressed (and who is also going through a rough semester away from the love of her life for five whole months), finding something so little but adorable that made me smile and kept me going is something I really appreciate and it's really important to me. Overall, I absolutely loved Gmorning, Gnight, and I'd definitely recommend it to everyone reading this review (yes, this means you!). It was a super quick read, and it leaves your heart feeling really warm and happy inside. I'm so glad that I got this book for Christmas, and I can't wait to pick it up every single morning when I wake up and every single night before I close my eyes, reading a few lines of a heartwarming message to give me the encouragement and love I need to keep going. I sincerely can't thank Lin-Manuel and Jonny enough for this, and I'm so glad that they came together for this project. This book has definitely improved my life in a variety of ways! 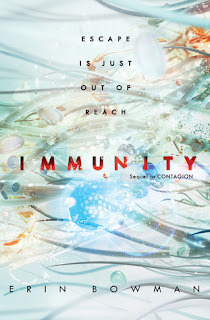 Survivors of a deadly planetary outbreak take on a new, sinister adversary in the white-knuckle sequel to Contagion, which New York Times bestselling author Amie Kaufman called “gripping, thrilling and terrifying in equal measures.” They thought their nightmare was over, but Thea, Coen, and Nova’s rescue was only the beginning. After being imprisoned on a ship they thought was their ticket to safety, it’s clear that the threat they left behind isn’t as distant as they’d hoped—and this time the entire galaxy is at risk. Now that threat is about to be unleashed as an act of political warfare. To prevent an interstellar catastrophe, the survivors must harness the evil they faced on the planet Achlys and learn to wield the only weapon they have left: themselves. 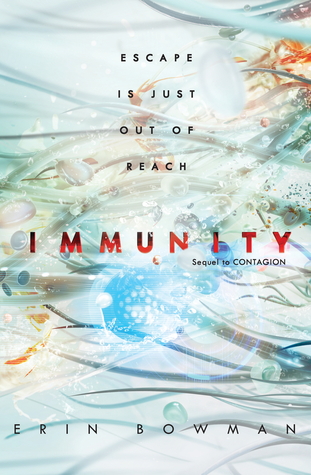 The first installment in Erin Bowman’s duology earned a starred review from Publishers Weekly, who called the plot “intricate and action-packed,” and fans of Jonathan Maberry, Rick Yancey, and Madeline Roux will relish in Bowman’s tense, high-stakes conclusion to the events of Contagion. I loved Contagion so so so much and even recommended it about ten thousand times to my non-reader of a boyfriend (who still has yet to indulge me in reading it!) But I am so excited to see what Bowman has in store for these characters next since the shocking ending of Contagion. 8 of the Most Beautiful Tapestries in the World! 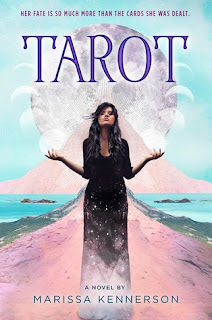 (Part of the TAROT blog tour by Marissa Kennerson! Today we are super excited to be a part of the TAROT blog tour! Thank you so much again to Penguin Teen for reaching out to us about this amazing opportunity. In a world where Anna was born by a forbidden union, she is locked in a tower and is promised to be released on her sixteenth birthday. 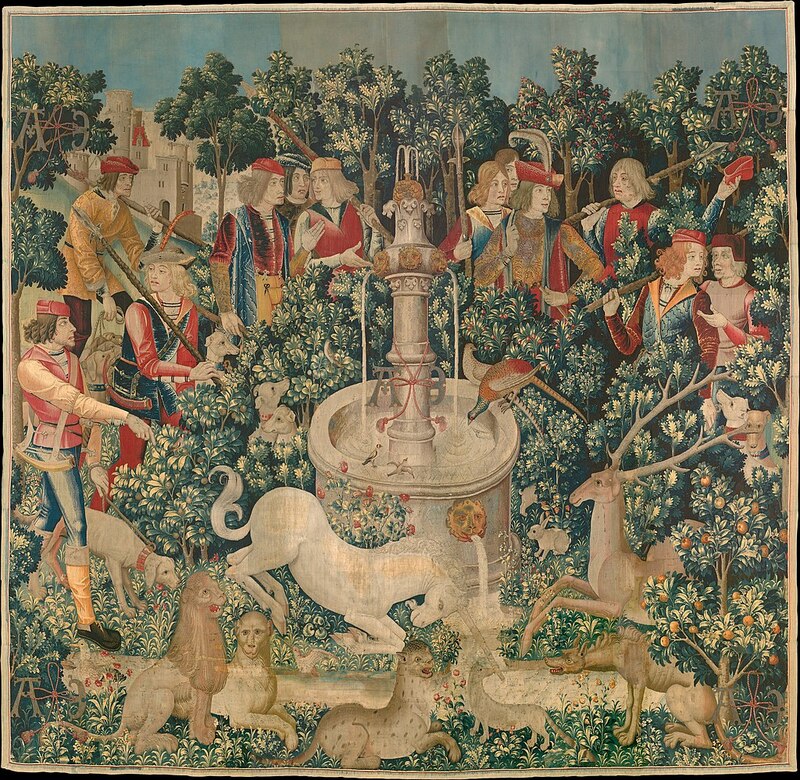 Anna creates beautiful and unique tapestries of creators and dreamers, which is the exact opposite of what the King believes in. 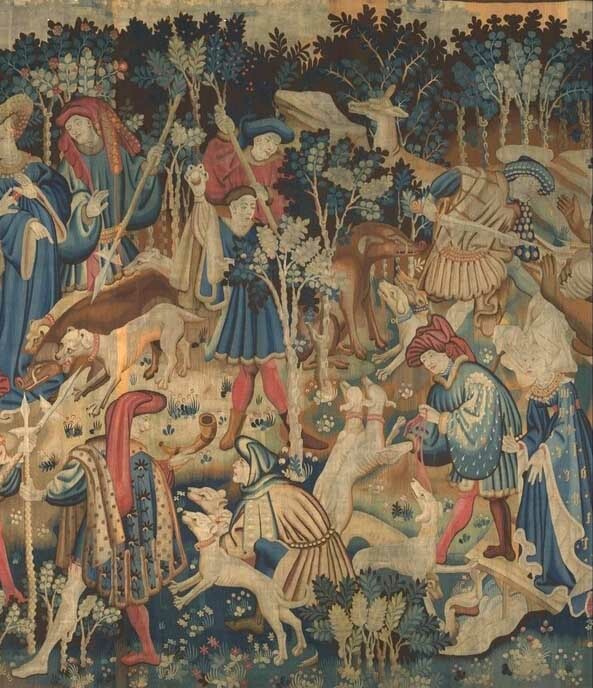 For our blog tour stop we decided to do a list of 8 of the most famous and beautiful tapestries in the world! Aren't all of those tapestries beautiful? We aren't historians by an means so the dates and the names may not be 100% correct, but we did try are best to cross check them with multiple sources! Summary: Anna was never supposed to exist. Born of a forbidden union between the Queen and the tyrannical King’s archnemesis, Anna is forced to live out her days isolated in the Tower, with only her mentors and friends the Hermit, the Fool, and the Magician to keep her company. To pass the time, Anna imagines unique worlds populated by creatives and dreamers—the exact opposite of the King’s land of fixed fates and rigid rules—and weaves them into four glorious tapestries. But on the eve of her sixteenth birthday and her promised release from the Tower, Anna discovers her true lineage: She’s the daughter of Marco, a powerful magician, and the King is worried that his magical gifts are starting to surface in Anna. Fearing for her life, Anna flees the Tower and finds herself in Cups, a lush, tropical land full of all the adventure, free-spiritedness, and creativity she imagined while weaving. Anna thinks she’s found paradise in this world of beachside parties, endless food and drink, and exhilarating romance. But when the fabric of Cups begins to unravel, Anna discovers that her tapestries are more than just decoration. They’re the foundation for a new world that she is destined to create—as long as the terrors from the old world don’t catch up with her first. Thanks for stopping by to check out our stop in the TAROT blog tour! We hope you enjoyed this post as much as we enjoyed putting it together. 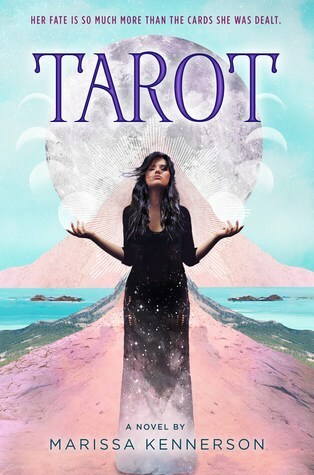 Make sure to add TAROT to your TBR and purchase a copy when it is out in the world!